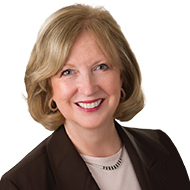 Kay Burke works with her colleagues at Kay Burke & Associates to present professional development workshops for teachers and administrators on standards-based teaching and learning, formative assessment, and classroom management. She received her undergraduate degree from Florida Atlantic University, her master’s degree from the University of Central Florida, her educational specialist degree from Emory University, her PhD from Georgia State University, and her administration certification from the University of Georgia. Kay served as award-winning English teacher, department chairperson, dean of students, mentor, and administrator in Florida and Georgia for twenty years. She also was the director of the field-based master’s program sponsored by the International Renewal Institute (IRI/Skylight) and Saint Xavier University in Illinois. Since 1990, Kay has designed and conducted professional development workshops and presented at conferences of the National Staff Development Council, the Association for Supervision and Curriculum Development, the National Association of Secondary School Principals, the National Association of Elementary School Principals, Solution Tree, and the International Reading Association, as well as international conferences in Canada and Australia. Since 1998 Solution Tree , has worked to transform education worldwide by empowering educators to raise student achievement. 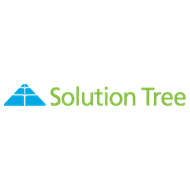 With more than 30,000 educators attending professional learning events and more than 4,260 professional development days in schools each year, Solution Tree helps teachers and administrators confront essential challenges.